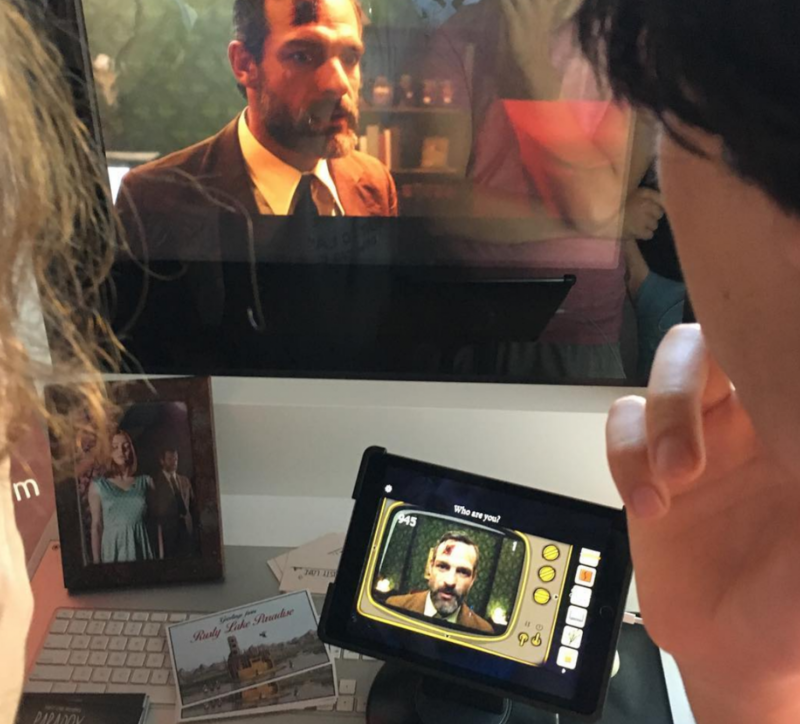 The last month we made a lot of progress for Cube Escape: Paradox and we showcased the first beta version last Friday at the INDIGO event in Utrecht, Netherlands. It was really awesome to show people the game for the first time: we got a lot of feedback and we also had the chance to meet a lot of fans. Congrats to those who solved the combination between the game, the short loop of the movie and movie prop at the event! A collection of all the amazing #fanart we received the last couple of weeks! Thanks for for sharing your beautiful art with us. Get our premium games now while they’re on sale! Paradise, Hotel & Roots are 50 % off!! I think the postcards look great! i think my favorites are the paradise one and the paradox one. They’re both great, and thanks for the chance to win them. The fan art also looks cool. Keep it up, rusty lake! I love the Paradox post card! The wallpaper looks great and the dark background makes the letters pop out. Mr. Crow is one of my favorite characters and I’m really happy he is on here. Personally, I think the candle that is lighting up the room adds lots of mystique. Thank you for a chance to win it! I love your games! I love all the postcards. My favourite was “Roots” beacause it looks like a real postcard you send to your family on holidays. But “Paradox” is the most mysterious one, and it has became my favourite. 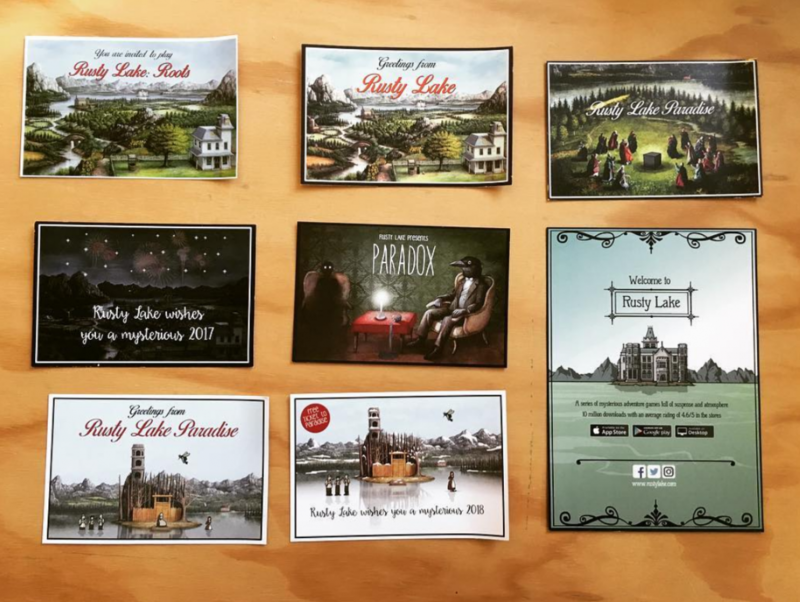 All these postcards look amazing, I wish Rusty Lake was a real place I could travel to. All postcards are great! You always think about every little detail and that’s hella awesome! Keep up the good work! The postcards look awesome! I love the art style you guys use so much, so I love how these turned out! Can’t wait for paradox also, Been hyped since it was first announced! i love the card on the top left, because in first place it looks just amazing, but if you played the games you will also recognize every part of the painting. The postcards look great. The paradise gathering and mister crow with the shadow are my favorite ones. I love Rusty Lake postcards, because they always have mysteries and always have the magic of the game. I just received a postcard and it was a great honor for me. Wow, I’m so excited for what’s coming to Rusty Lake! Al the postcards looks amazing, I love them all, especially “roots” I’ve always liked the picture, and “paradox” looks so mysterious so it becomes in one of my favorite. These postcards are beautiful. My favorite one is definitely the Paradox one because it gives such an eerie feeling. It actually kind of reminds me of Fuseli’s painting The Nightmare. All these post cards look great. I’d love to hang one up on my wall behind me when I stream on twitch. I’ve played all the rusty lake games multiple times, on PC and iPhone. I’m a little obsessed. You are doing an amazing job guys. The Rusty Lake universe keeps getting deeper and deeper and I can not wait to see how this huge story unravels. You even pushed me to read William Faulkner for the very first time! The postcard is amazing! My favourite is still the Roots one, but that’s probably due to that being my favourite game. But the Paradox one looks fantastic, very excited to get to play the game and watch the movie! All postcards look awesome. The “Paradox” Card is my favourite because of the mystery behind it. But the “Paradise” Cards look great too. Damn fine set of postcards ! And hot ! Super excited that the kickstarter surveys are getting sent soon, can’t wait to feature in the actual game!! Looove the new postcard too, it’s got a perfect rusty lake edgy vibe to it, super mysterious! Hi! Last time I was very happy to find a postcard in my mailbox 🙂 It is really nice that you do for everyone. Thank you! You have individual style and it is great! As always, the #rustylake postcards look great. Excited to see what’s next! I commented on Instagram but thought is let you guys know again that I love all the postcards and it gave me an idea to make a quilt with the postcards as inspiration. But that would entail having them all, but any one of them would work. Rusty lake please send me one! You guys Rock!! Ooooh. They’re all really pretty. I like the night sky and Paradox ones best! They are all lovely, but the paradox one is the best! Mr. Crow agrees too, I’m pretty sure. Love the postcards! The paintings are beautiful, and they almost look like they could be postcards for a real place, if not for the creepiness! I think my favorite is the Rusty Lake Paradise one with the nighttime ritual going on. Very mysterious! I like Paradox 1st, Greetings From Rusty Lake 2nd, and Rusty Lake Paradise 3rd. But they’re all great. I do also like the placard of the hotel. Ive been a fan of te franchise ever since the cube escape games started coming out. The eerie atmosphere combined with obscurities and bold story-telling is what lured me in and keeps me intrigued. The postcards looks very well-rounded with a lot of variety while all of them capturing the essence of the world of rusty lake. I think my favourite one is the one wishing you a mysterious 2017. So excited for the movie to come out! You‘re new postcard has an awesome design and everyone does appreciate your work . Go on as always and surely you‘ll have a Perfect result. Good luck on the movie and game! I absolutely love the paradise postcard! Really enjoying seeing you guys make progress, keep up the good work! The new postcard looks great! It really captures the Rusty Lake vibe, and the two Vanderboom brothers is a really cool touch! I like the Paradox best ,it looks like the season 3 ,Cooper and Laura sitting in the black lodge . I really like the posters. They look great. And also, I’m looking forward to the next rusty lake game. The postcards are amazing. I really like the one in the centre. I hope I will see your film as soon as possible. Amazing work ! I’m so hyped by the short movie. About the posters, they all seems nice so it’s hard to chose which one I prefer. My excitement about Paradox is tinged with slight sadness that this is the last installment. I’m cheering myself up with the knowledge that I will get to play the complete set from the beginning. The art work on the postcards is of course amazing in true Cube Escape/Rusty Lake style. I’d love to own them. The paradox postcard looks awesome and it shows a lot of mistery. It’s very difficult to choose which one is the best because they are all incredible!!! So very excited to hear that the game is almost ready! Can’t wait to play 🙂 but I didn’t know you guys were doing a showcase in Netherlands! If I knew I would’ve gone!! Maybe you mentioned it and I wasn’t paying attention 🙁 anyways keep up your work and hope to play your game in August ! I love these postcards! 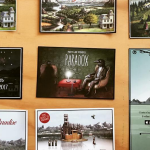 The one for Paradox looks awesome, and although I’ve got penpals I could send them to, I’d likely be greedy with them and want to keep them for myself! The postcards… are honestly the most beautiful and reminiscent things I’ve seen. I’ve been with the cube escape series for so long, and it’s just amazing to see all that’s going on. The post cards I like the most are the “Greetings from rusty lake”, the paradox one, and the paradise postcard. Congrats on your project, and keep up the good work! I can’t wait to see more from rusty lake! I love all postcards but my favorite would have to be the Rusty Lake Paradise postcard. There’s an eerie sense that the figures surrounding the cube are revering the structure; the cube seems to be hailed as a sacred object. Moreover, the artwork is reminiscent of paintings from the late Baroque period due to the softness of the figures’ clothing. I love all of your work and really excited for Paradox! I think it looks like the poster 1980s and it makes me want to travel to Rusty Lake(if it’s a real palce).I like the hotel postcard best.The left one in second row is really different from others.all of them are amazing!!! Amazing postcards but my favorite will always be Roots since it’s the one I already own… Also can’t wait to see you in Prague guys! 🙂 I’m so excited!!! As someone who truly loves and collects postcards these would he a stunning addition to anyone’s collection. They are truly beautiful in design. Great Job with the postcards. Been a fan since I stumbled on Harvey’s box a few years ago. Keep the series going. Love it all. All the postcards are incredible, but i liked the second row ones best. Also keep going with the great work, you guys are AMAZIIIIIING!! So many wonderful things that you’ve done for us. Thank you so much Rusty Lake Team! As for the cards… I think the Roots one is the most appealing to me, then the Paradise one with the Black Cube in the center and last, but definetely not least, the Paradox one. Mostly because the paintings are done by Mr. Scherft. Send my regards for him if you can! I’m an artist too and I admire his works of art. Hope I will get to see more from him and the entire team. Nice collection of card. The.new paradox is great! I also like the ones seems real post card with «greetings from…» and the one with the paint of Johan Scherft from paradise. Have a nice summer rusty lake! Wow! You have worked so hard on Paradox, can not wait to look at your creation. I always admire your amazing games!! Hello, is this rusty lake. Greetings. Just wanted to say thanks for the memories. I want all of them.But I know i will get none of them.Whatever Ilove rusty lake games. All the postcards are amazing! Congratulations for the shot movie, you always work so hard for make awesome games, art and eventos. Keep going! All the postcards are amazing! Congratulations for the shot movie. You have so much talent for make awesome games, art and events. Keep going! These are not just beautiful greeting cards, they are images that make you fall into the world of Rusty Lake. This makes us remember the mysterious atmosphere of the Lake. Therefore, I would very much like to have at least one of them. Sorry, if I wrote it is not clear. I know English bad.